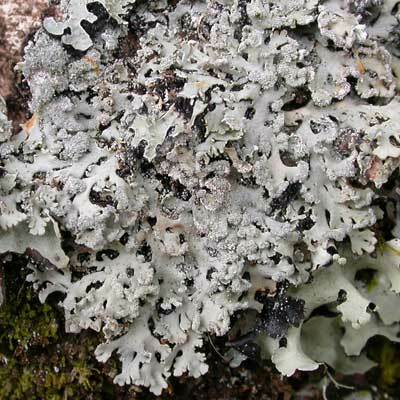 The K+ yellow thallus of this attractive foliose lichen consists of pale grey radiating rosettes. The fan-like lobes have hair-like cilia on the margins that mix with the grey, granular soralia. Discs are rare. 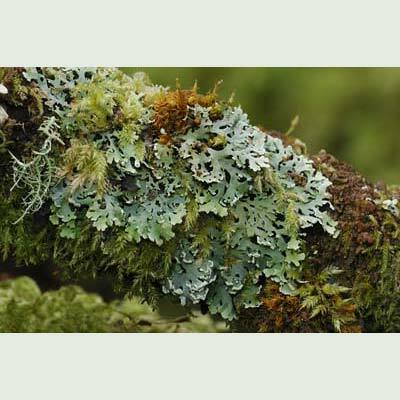 Its habitats range from short coastal grasslands and old sea-pink cushions to mossy tree trunks (often rather high up) of oak, ash, hazel and willow. The species is widespread but local in Ireland. On long-standing mossy trees; sea-pink cushions should be searched. Simms, M. J., (2016). Heterodermia japonica (M.Sato) Swinscow & Krog. 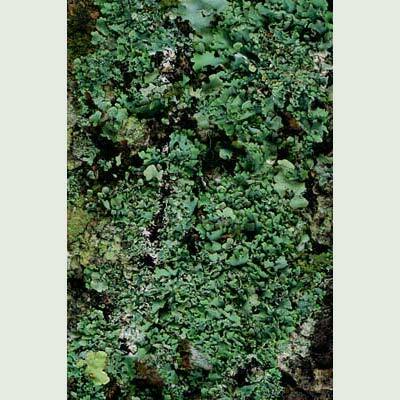 [In] LichenIreland.